Gulf Oil in the news. 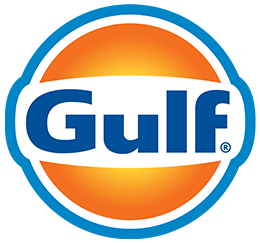 Wellesley Hills, Massachusetts – March 6, 2019 – Gulf Oil today announced plans to introduce its new retail fuel image. The image is a fresh and modern look that encompasses brand equities that have kept the Gulf brand strong for over 100 years. Wellesley Hills, Massachusetts – May 9, 2018 – Gulf Oil today announced its sponsorship of Country 102.5 Street Party, taking place in Boston on Sunday, June 3rd. Presented live outside of Fenway Park on Lansdowne Street each year, Country 102.5 Street Party is attended by 8,000 of the area's country fans. Kane Brown, LANco, Cam, Brown & Gray and Stephanie Quayle have already been confirmed as performers for this year's massive concert. Wellesley Hills, Massachusetts – April 26, 2018 – Gulf Oil today announced that Sue Hayden has joined the company as executive vice president & chief marketing officer. In this newly created role, Hayden will report to president and chief executive officer, Eric Johnson, and is responsible for driving the overall strategy for branded and unbranded operations, brand marketing and customer service and credit card operations. Wellesley Hills, Massachusetts – November 15, 2017 – Gulf Oil and Discover Financial Services today announced the extension of the successful savings campaign rewarding consumers for downloading the new Gulf Pay app and linking their Discover card as the preferred payment method. Wellesley Hills, Massachusetts – August 15, 2017 – Gulf Oil has teamed up with GasBuddy to connect with millions of drivers, generate new business, and gain a better understanding of the consumer perception and experience. Through GasBuddy Business Pages, a B2B Retailer Software-as-a-Service (SaaS) released at NACS in 2016, Gulf and Gulf distributors will have access to a suite of digital tools and services to help reach more consumers.